Pictured (l-r): Mickey Watson, Veronika Snuggs, Hutch Swafford, Ashleigh Harris, Megan King, and Michelle Nurse. Being named one of Georgia Southern’s Orientation, Advisement, and Registration (SOAR) Leaders is an honor. Numerous students complete a rigorous application and interview process to be considered for these coveted positions. This year, the College of Education (COE) is proud to announce that six of the 26 SOAR Leaders are education majors. 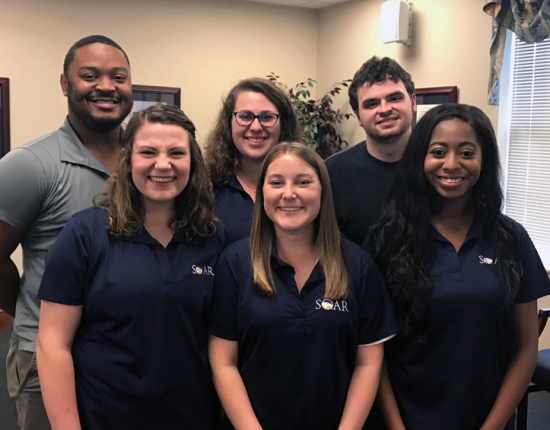 COE students in the 2017 SOAR Leaders cohort include: Ashleigh Harris, Megan King, Michelle Nurse, Veronika Snuggs, Hutchinson “Hutch” Swafford and Micaiah “Mickey” Watson. Ashleigh Harris is a junior middle grades education major from Evans, GA. She is the captain of the Southern Pride Color Guard, a peer-leader and a member of the Phi Eta Sigma honor society. Harris explains that when attending SOAR as an incoming freshman, her most impactful experience was the SOAR Leaders presentation. Megan King is a senior early childhood education major from Roswell, GA. Along with serving as a SOAR leader, she is a member of the Southern Leaders program. 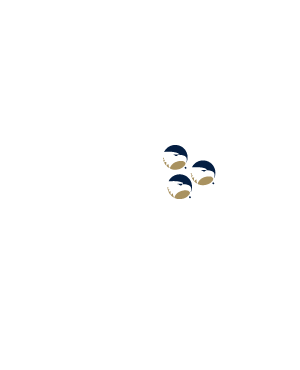 King says that since arriving on campus, Georgia Southern has always felt like home. “Join some organizations and really develop a passion for your school,” she added. Veronika Snuggs is a senior early childhood education major from Marietta, GA. She is a returning SOAR leader and serves as a Southern Ambassador, Community Leader, Community Assistant, a Conference Services Assistant and the Sousaphone Section Leader for the Southern Pride Marching Band. Snuggs says her favorite part of SOAR as an incoming freshman was the Spirt and Traditions session. “Georgia Southern has so many traditions, and I felt like I was becoming a student when I was learning about the cool things that the students here do,” she explained. Hutch Swafford is a senior middle grades education major from Dalton, GA. He is a Southern Ambassador, a student worker in the Office of Admissions and serves on the leadership team for a campus ministry group. Swafford says he chose Georgia Southern because he feel in love with the campus. “My junior year of high school, I walked around the campus with my family and we all loved it and the people were friendly, and I knew then that Georgia Southern is where I was supposed to go to school,” he said. Mickey Watson is a senior early childhood education major from Warner Robins, GA. Along with serving as a SOAR Leader, he is actively involved in Greek Life. Watson says his favorite place on campus is Sweetheart Circle. “It’s full of charm and tradition and is a beautiful place to have a picnic,” he explained. Watson and Harris will serve as the SOAR leaders for the incoming College of Education students.